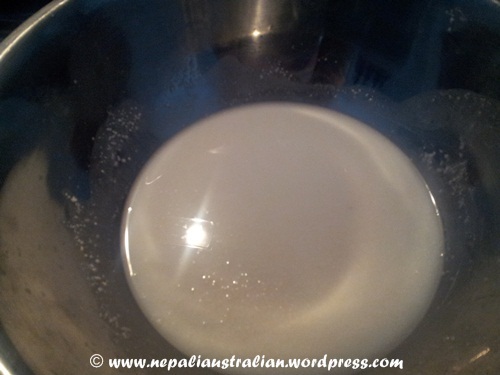 Wash and soak rice overnight, drain excess water and grind into a semi coarse paste. In a bowl, add ghee and sugar. 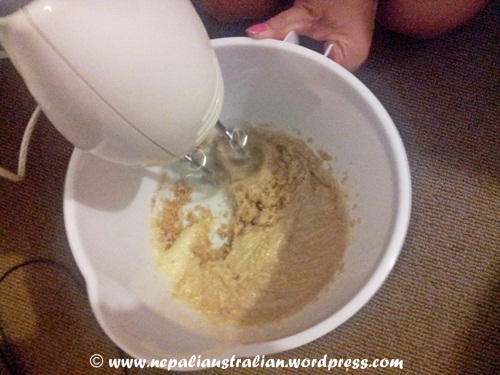 Using electric mixer, mix it well and slowly add rice flour and plain flour. 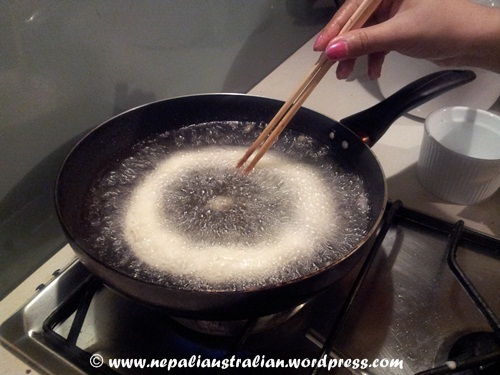 Add all the rice paste to the mixture and mix it well using hand. Leave the batter for few hours in the fridge. 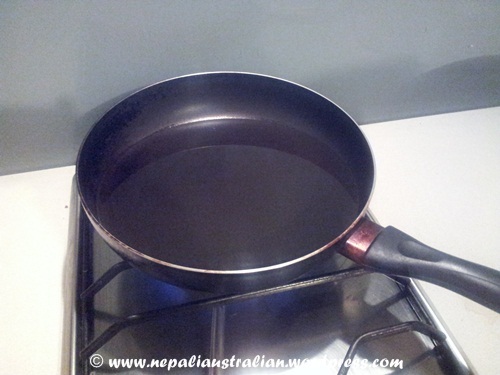 Heat oil in a deep pan, making sure the oil is not too hot. Once it comes to the surface and is golden brown at the bottom, turn it over and cook for one minute on the other side. 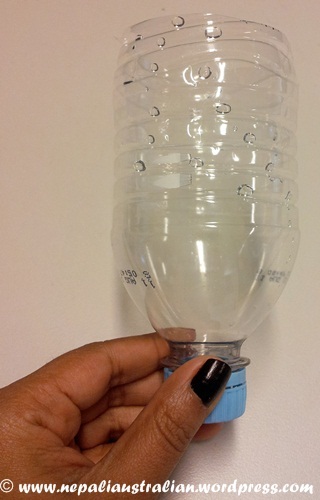 Use wooden chopsticks to turn the Sel if you have one so that the Sel doesn’t break. 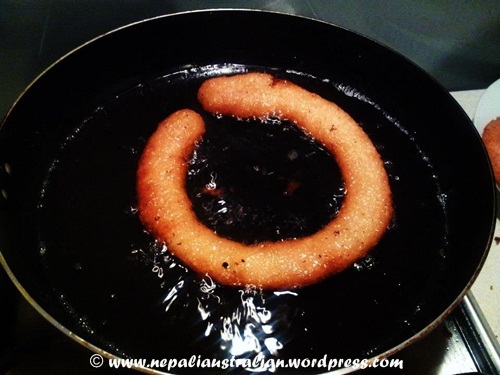 This entry was posted in Nepali food, Recipe and tagged Sel roti. Bookmark the permalink. I’ve come across several recipes. Some recipes ask for water or cup of milk or bananas, etc. Variations are endless. This was looks pretty good so I think I will give it go for Bhai Tika in couple of weeks. Thanks! 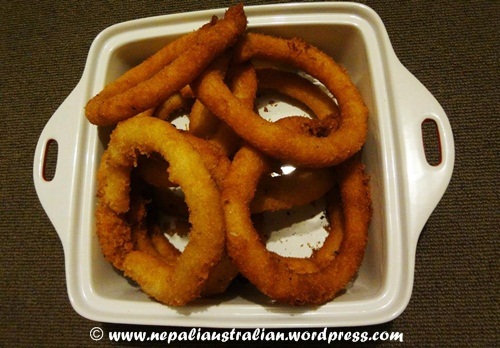 Hi there , been looking for selroti recipe high and low. Left and right but I couldn’t find the right one. Tried so many recipes but left with disapoitment. Hope your recipe will make my day. Crushing my fingers. What’s the ingredient that’s responsible to make it crispy? 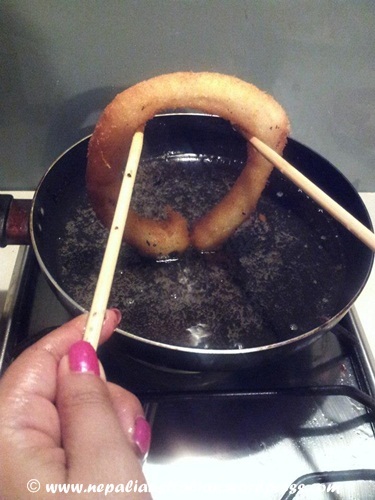 While I made, it wasn’t crispy. I think rice flour makes it crispy. Again. U did a great job (preserving and spreading the feel good factor of Nepali tradition.) 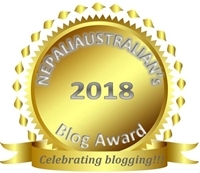 I am awestruck by each of your posts that has THE NEPALI FEEL. Kudos. And ‘Sell’ looks yummy here. Do you work or full time Homemaker ? 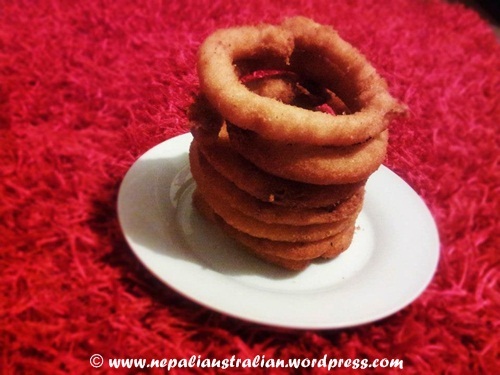 (:-) if u like to reply) ‘coz i’ve seen many of your posts full of the yummiest Nepali food. will love to taste . he he !! 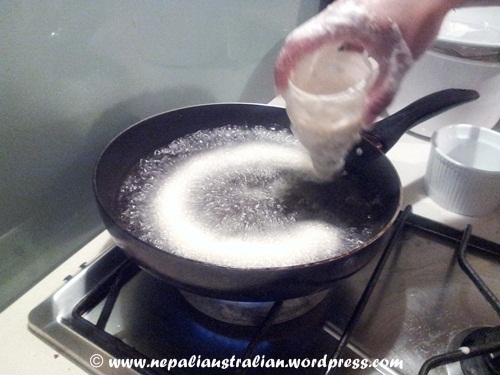 I was searching about how to make sel roti and landed on your blog:) how have you been? I tried to make it last year, and it turned somewhat crispy rather than soft, do you have any suggestions to overcome this? I am doing good. How about you? I think if you add plain flour with rice flour, it softens the Sel. 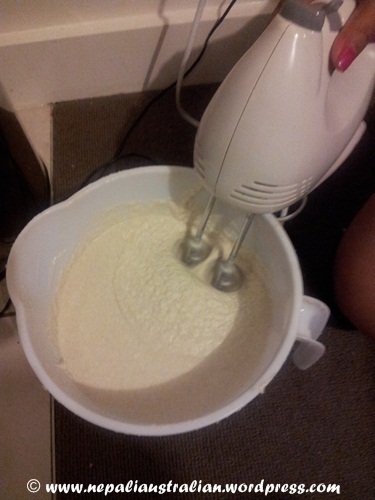 Also once you mixed the batter, leave it for couple of hours before making Sel. Try it and see how you go. Good luck!!! Also I know people use bananas too. I think my cholesterol just went up merely looking at those deep-fried treasures. Enjoy the festivities! That is my first try and I am so glad that it turned out to be fine:). 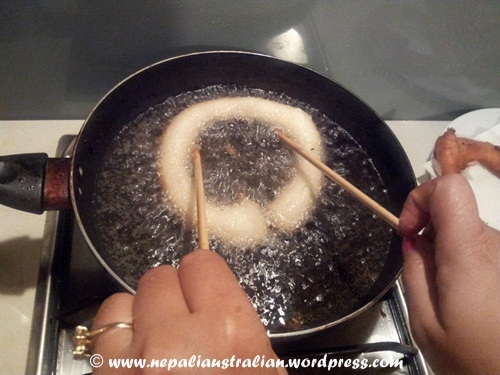 Planning to make some more for Dashain. ‘Sel Roti’ is one of my most favorite snack. The most expensive ones I had cost me $4 each at a Nepali restaurant in Queens(NY). You make em good. Must be delicious. Enjoy! !